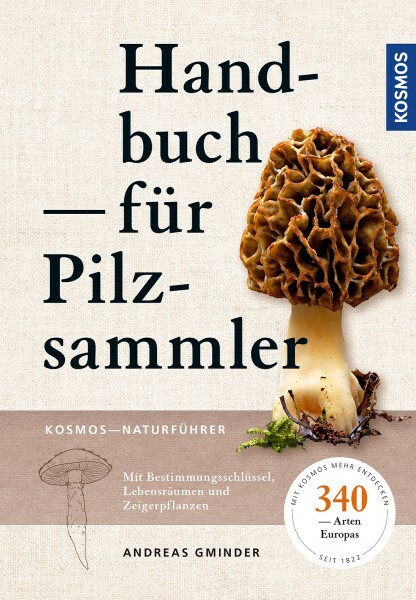 Product information "Handbuch für Pilzsammler"
The handbook for mushroom collectors explains authoritatively, extensively and practically how to find, correctly collect and prepare the most important types of mushrooms. 300 edible mushrooms and their poisonous lookalikes are described expertly in detail. Splendid photos show the mushrooms’ distinctive features. The major advantage of this definitive book is the ingenious identification key, which guides the collector straight to the desired species. A collection of delicious recipes invites you to cook them yourself and try them out. Andreas Gminder, head of the mushroom department at the German Nature Conservancy, has led successful mushroom excursions for beginners and advanced collectors for more than 20 years. He knows the needs and requirements of his target group very well.